Budget-friendly hotel with stylish rooms and ample of amenities. Hotel Applee Inn is a plush property located in Civil Lines in Gurgaon. IGI Airport is 30 minutes away and Gurgaon Railway Station is around 21 minutes away from here. Nearby attractions include Kingdom of Dreams, Rivoli Garden Sheetla Mata Mandir, DLF Cyberhub, Metal Ma and Leisure Valley Park. The economical hotel is well-furnished and neatly managed. 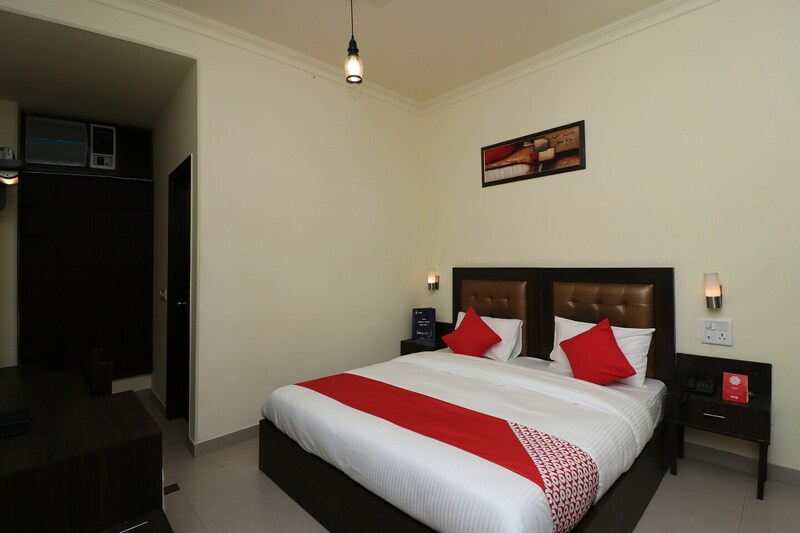 The rooms are equipped with Wi-Fi, TV, AC, en-suite bathroom with geyser and mini fridge. Other facilities include power backup, elevator, parking space and payment by card option. Nearest restaurants are Civil Lines Wala, Club Tokyo, L@ttitude, Skycity Hotel, Darbar Food Place, Baljee Restaurant and many more. For shopping, visit Omaxe Celebration Mall and Raheja Mall, located few minutes away.